“This is the ice hole. When the heat in the sauna becomes uncomfortable, just come out here and cool off in the water,” the owner of the sauna nonchalantly instructed us. Ha. 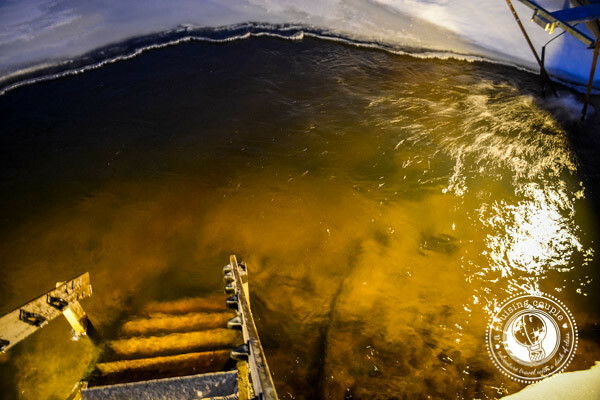 It was legitimately freezing out, and we were expected to just jump—naked—into arctic waters? Apparently yes, we were. Because when you’re at a traditional Finnish sauna in Lapland, that’s just what you do. The sauna is a fundamental component of Finnish culture. It’s estimated that there is one sauna for every household in Finland—and more saunas in the country than cars. 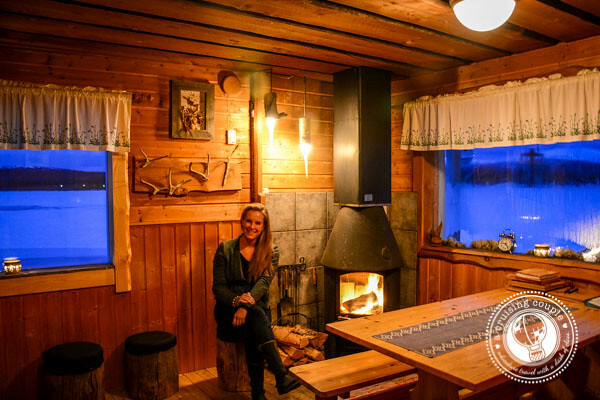 Many private houses and holiday cabins have their own saunas; when we first arrived at our cabin in Yllas, it wasn’t the kitchen or the view or even the bedroom that was proudly shown to us, but the deluxe sauna facilities. Even the Parliament House and the Pyhasalmi Mine boast their own private saunas! We’ve always thought of the sauna as a luxury commodity. But in Finland, it is an absolute necessity. The facilities are used as places to relax, to detoxify, and to conduct business meetings. Until not so long ago, saunas were even used as sanitary places to give birth. Experiencing a sauna in Finland is a bit different from other places around the world. We had a private session, which took away some of the pressure, but we still learned a lot on sauna etiquette—and what faux pas to absolutely avoid. Go Naked: Don’t be shy. It’s expected that you don’t wear any clothing, including a swimsuit, in the sauna. Public saunas are separated by gender, but it’s not uncommon for families or couples to use private saunas together. Having a sauna together is considered to be a bonding experience, but only in the most pure sense of the word. Be Polite: It’s said that Finns expect the same behavior in a sauna as they do in a church. That means no hanky-panky, no swearing, and no shouting or otherwise raucous behavior. 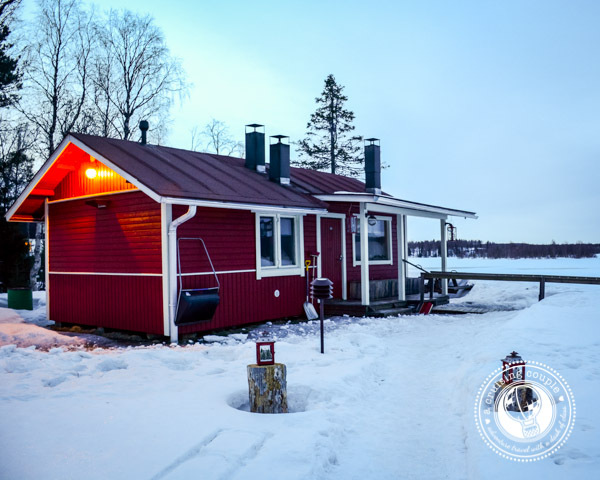 Ask First: In the traditional, wood-burning sauna we experienced, a metal stove with stones on top is heated by burning birch wood (which creates the most wonderful smell.) Throwing hot water on the stones creates the steam, which will reach you more quickly if you are seated on a higher bench. Throughout the sauna process, someone will periodically add more water to the stones. However, if too much water is accidently added, it can feel suffocating and even a bit painful. If you would like to add more water to the rocks, make sure you first ask if it is okay with everyone else in the sauna. Use the Birch: In many saunas, you’ll see a bundle of birch tree branches. 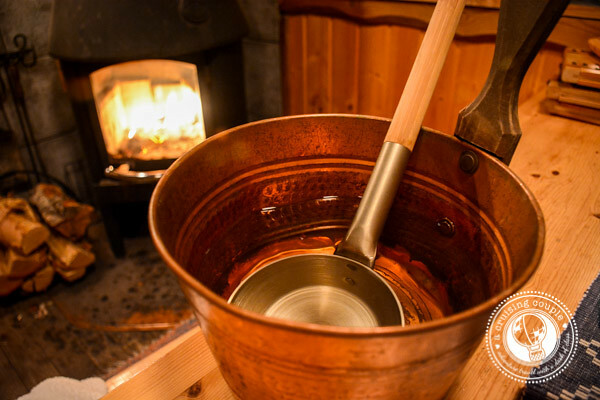 These are used to gently ‘whip’ the skin, which in turn relaxes the muscles. To be honest, we never really got the hang of using these. Go in Cycles: A visit to the sauna can last from thirty minutes to hours on end. However, Finns don’t stay in the sauna the entire time, but rather take regular breaks to cool off and have a drink. Enter: the ice pond. It is completely commonplace to have an ice hole for swimming in nearby a sauna, especially if the sauna is outside of city centers. When possible, some Finns also cool down with a refreshing roll around in fresh, powdery snow. Typically we aren’t huge sauna people. Sort of the same way that initially we weren’t huge hot spring people. However, there was something incredibly cathartic about the wood-burning Finnish saunas. Once we had finished our session, we felt invigorated and rejuvenated, and a touch less sore from all of our cross-country skiing mishaps. And, despite our initial reluctance, we even got into the whole skinny dipping in sub-zero temperature thing. Would we do it again? Absolutely. But give us a while—we don’t feel a compelling urge to do it anytime soon. In order to keep this G-rated, we’ll spare the video of Dan skinny dipping in the frozen lake (yep we really have one) and instead just show you a clip of our British friends rolling around in the snow during our sauna sessions in Swedish Lapland, where the saunas are also a popular cultural pastime. Finnish saunas are an integral part of Finnish culture, and we were very grateful for our chance to have the experience in snowy Lapland. A huge thanks to Visit Finland for making our visit possible. Have you been to a traditional sauna before? Would you jump in the ice hole? What about roll around in the snow? I don’t know if I could do the ice hole dip! I would be scared my body would go into shock and shut down or something. I would roll around in the snow though. You’re brave to do it in an ice hole… my first experience was in the summer and it was just jumping into a cool lake. Very invigorating and quite addictive after a while. I would say that I would do it again and I could see how it would get addicting. Especially doing the hot and humid sauna to de-thaw in the dead of winter. I’ve done the Japanese Onsen, and I have to say that this sort of thing only appeals to me as a cultural curiosity! I’ve never really understood the whole ‘sauna’ thing to be honest. But it makes for a really interesting read! Haha, this is great! I like the term “polar bear club” for the icy plunges. We used to hike up in the mountains and jump off a huge rock into the glacier melt before frantically trying to swim to shore. Keep it up! Sounds like a fantastic experience! Unlike you, I LOVE saunas. Always! :) Traditional saunas are the ones I like best. I’ve tried the traditional Russian sauna which apparently is very similar to the Finnish. I’ve read that the Latvian saunas are a lot like this so thanks for the useful info! I’m still not sure I’ll be able to jump into the icy water, but I bet the birch-scented saunas are wonderful mid-winter! The birch smell is really nice and relaxing, especially when all you can think about is your next ice plunge :-p You should give it a try in Latvia! It’s a great way to thaw out after a long day in the cold. Awesome write up, loved reading this as I’m heading to Helsinki on Saturday. We have an awesome Russian spa here in Seattle and I have heard the experiences are very similar. Looking forward to some urban sauna time at the newly opened Kulttuurisauna in Helsinki next week. Cheers and safe travels! The sauna took us a bit to get used to, but it is actually really fun. I hope you enjoy Helsinki! thanks for tips, it helps alot, I will follow these tips in my next trip..